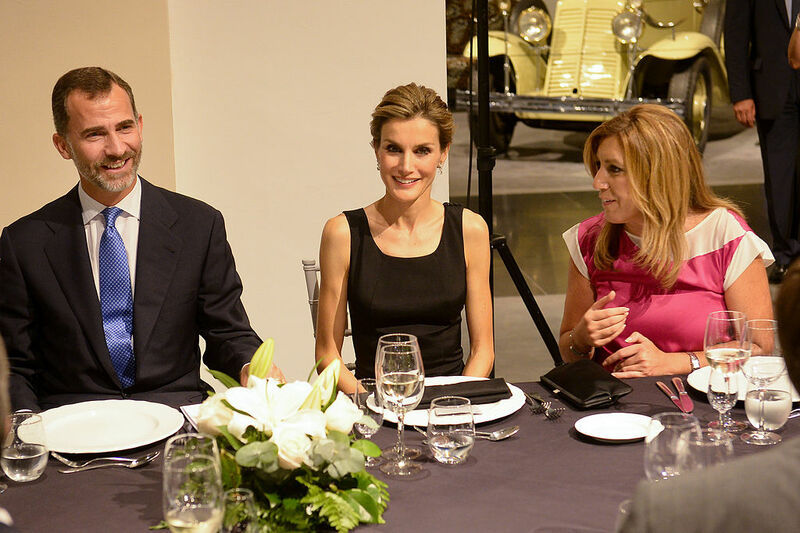 A visit by Queen Letizia of Spain on Friday to the Portuguese town of Moita, on the south bank of the River Tagus, in the company of the wife of Portugal’s president, was marked by a demonstration by about a hundred people against the right-of-centre government. The protestors – many of whom were employees of the local council – were kept about 200 metres away from the premises of Associação Raríssimas, the charity that the two women were visiting. They told reporters that while they respected the organisation’s work helping people with rare diseases, their protest was in part aimed at saving the National Health Services from the budget cuts imposed by the government. The Ibero-American Rare Diseases Alliance and Portugal’s own Federation of Rare Diseases are holding the second Ibero-American Meeting on Rare Diseases at the Casa dos Marcos in Moita, Portugal’s first centre for victims of such diseases. Letizia and the Portuguese president’s wife, Maria Cavaco Silva – who is patron of Associação Raríssimas, the Portuguese charity that is helping organising the event – are to attend to closing session of the event. Moita is in an area where the opposition Communist Party is traditionally strong, especially among local government employees. The local council is communist-dominated.